We promote mental health awareness and provide psychological training services in our local community. We offer a range of programs for various spheres of society from schools, to corporate, to churches. 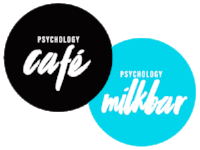 Family Challenge is strategically partnered with the Psychology Café and Milk Bar. Proceeds from these innovative services are dedicated to our ongoing humanitarian work from The Frontline to The Homefront. We are passionate advocates for mental health. Each year, we provide FREE community seminars to thousands of delegates on a broad range of mental health topics. We regularly broadcast answers to common mental, emotional, behavioural and relational questions on radio and television, as well as provide training and support for local allied health professionals and community agencies. Based on cutting edge neuroscience and clinical psychological research, our team of expert consultants have developed unique, user-friendly and highly effective programs designed to empower parents, teachers, childcare workers, and foster parents. Countless thousands (worldwide) have participated in our community-based Parenting Revolution small group programs. Innovative and practical ways to promote true long lasting self-worth. For more information, or to enquire about receiving training for your organisation, please contact us.